On the 10th of March, Ortwin received an award that has made us all proud. 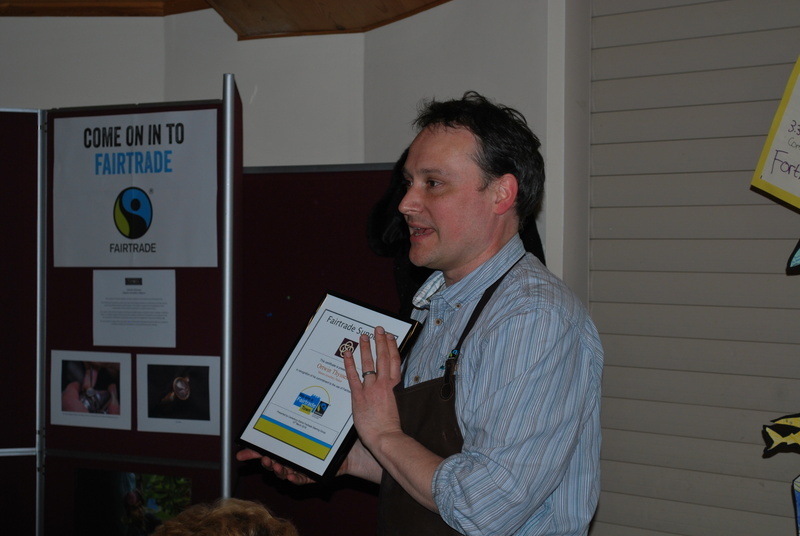 At the annual Fairtrade Fair which was held in Canterbury by the District Fairtrade Steering Group. 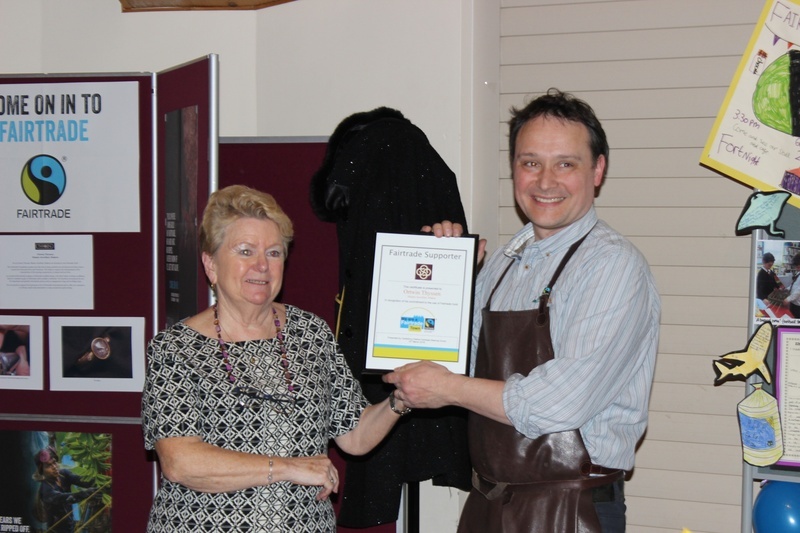 Councillor Jene Butcher awarded Ortwin a certificate for our use of Fairtarde Gold. We are exceptionally excited about this because our involvement with Fairtrade Gold is something that we have made a lot of effort to obtain. Ortwin’s story with fairly traded gold started years ago. In 2003, he came across a newspaper article mentioning a Geologist by the name of Thomas Siepelmeyer. The article mentioned that Siepelmeyer was somebody who initiated the supply of fairly traded gold in the German city of Muenster, which happens to be the city that Ortwin is from. Ortwin became instantly intrigued and soon after, he became acquainted with Siepelmeyer. He would since buy some Argentinian fairly traded washed gold from his new acquaintance. The Fairtrade Foundation, at the time, did not deal with gold. But after Siepelmeyer and others had proposed his ideas to them, a few years later, gold was introduced to their Fairtrade range. Ortwin began dealing with the Foundation soon after and became licenced to use Fairtrade Trade Gold in his workshop. We pride ourselves in being able to provide our customers with this certified fine metal if they choose. We are honoured to be licenced to make our own jewellery using Fairtrade Gold and the acknowledgement by the Foundation that Ortwin received on Saturday means the world to us. Special guests at the event included Councillors Nick Eden-Green and Sally Water. The event is something that Ortwin will remember for a long time. Thank you to The Canterbury District Fairtrade Steering Group for all of the work that you do.